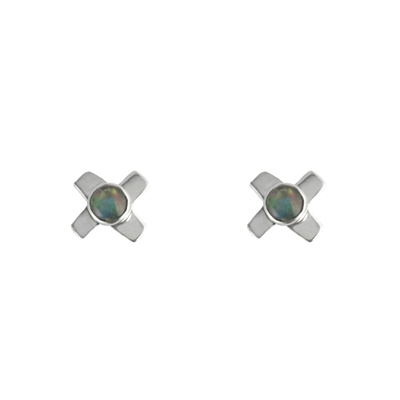 Small 4mm gemstone stud earrings bezel set in sterling silver with a surgical stainless steel ear post and butterfly ear nut. 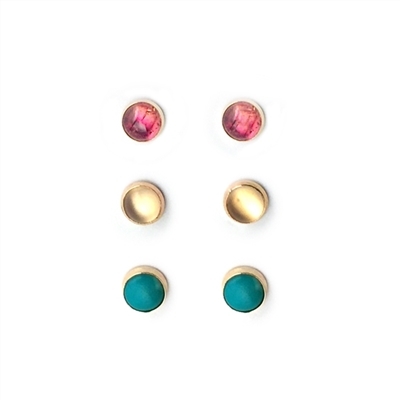 Tiny crescent moon stud earrings. Sterling silver with surgical stainless steel ear post and butterfly nut. Sterling silver snowflakes with surgical stainless steel posts and butterfly ear nuts. Sterling silver owl stud earrings with surgical stainless steel ear posts and butterfly nuts. Sterling silver lightning bolts with surgical stainless steel ear posts and butterfly ear nuts. 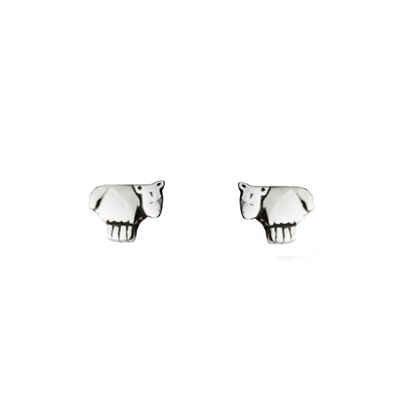 Sterling silver long haired cat faces with surgical stainless steel ear posts and butterfly nuts. Sterling silver dragonflies with surgical stainless steel ear posts and butterfly nut. Sterling silver lip stud earrings with surgical stainless steel ear posts and butterfly nuts. 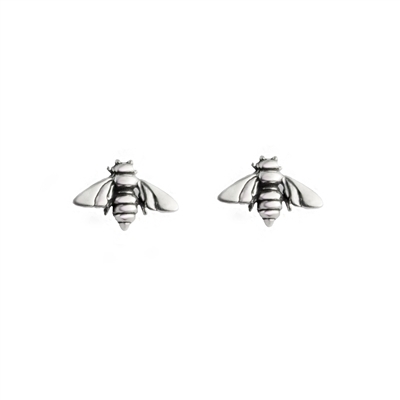 Sterling silver bee stud earrings with surgical stainless steel ear posts and butterfly nuts. 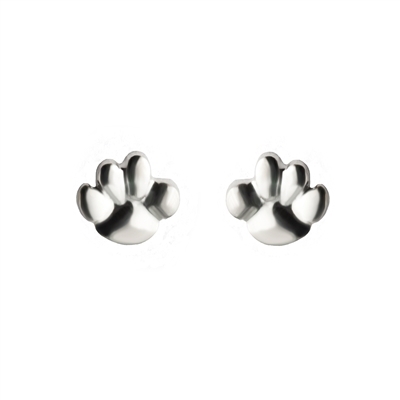 Sterling silver paw print stud earrings with surgical stainless steel ear posts and butterfly nuts. 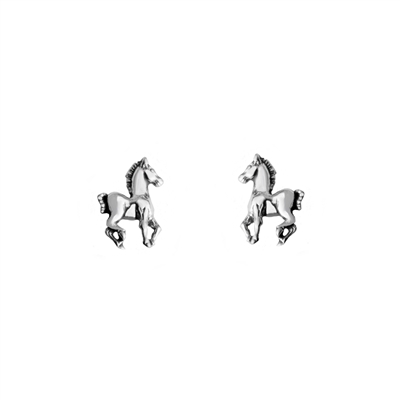 Sterling silver horse stud earrings with surgical stainless steel ear posts and butterfly nuts. Sterling silver sheep stud earrings with surgical stainless steel ear posts and butterfly nuts. Sterling silver snake stud earrings with surgical stainless steel ear posts and butterfly nuts. 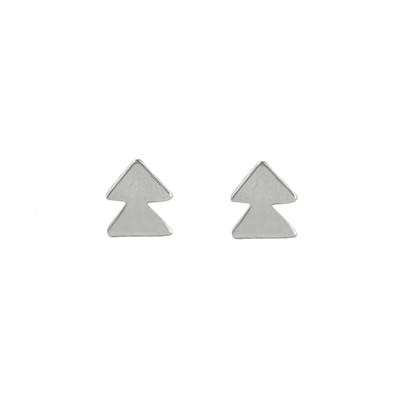 Sterling silver tiny stud earrings. 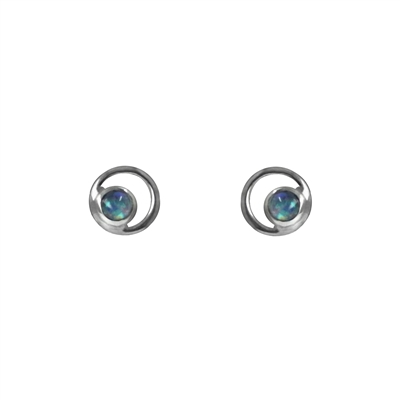 Small 6mm gemstone stud earrings bezel set in sterling silver with a surgical stainless steel ear posts and butterfly ear nuts. Sterling silver penguin stud earrings with surgical stainless steel ear posts and butterfly ear nuts. 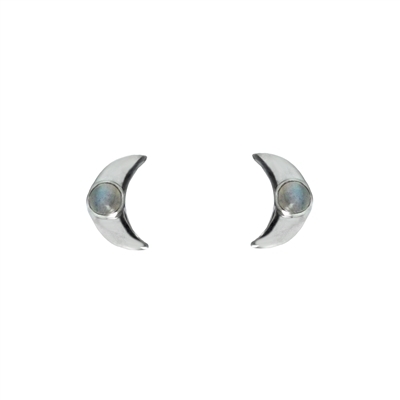 Sterling silver tiny moon post earrings with 3mm bezel set gemstone. Surgical stainless steel ear post. 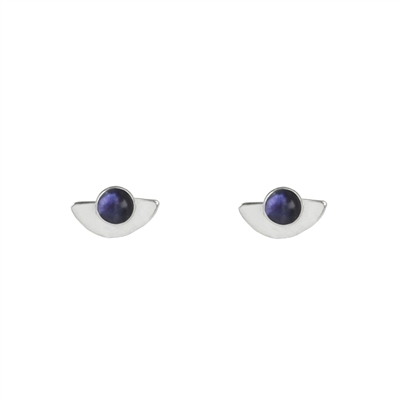 Sterling silver circles with a 3mm bezel set gemstones. Surgical stainless steel ear posts. 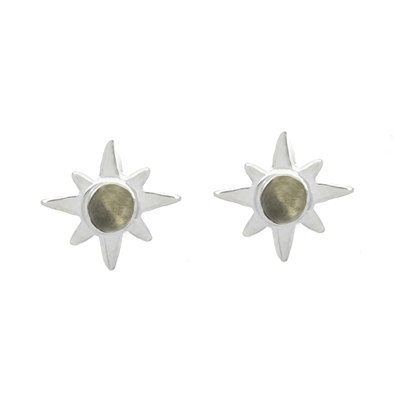 Sterling silver star earrings with a 3mm gemstone cabochon. Sterling silver teardrop earrings with a 3mm gemstone cabochon. 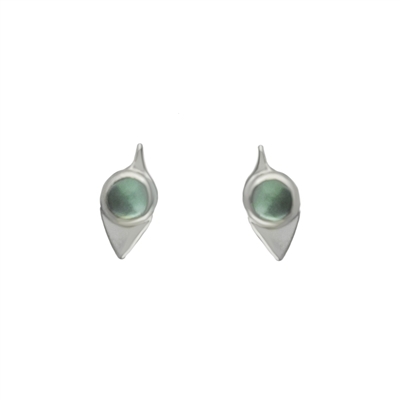 Sterling silver earrings with a 3mm gemstone cabochon. 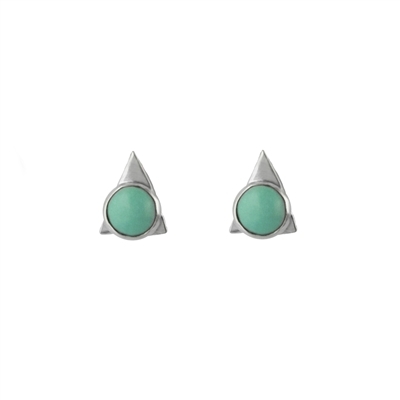 Sterling silver tiny triangle earrings with a 3mm gemstone cabochon. Sterling silver tiny flower stud earrings with a 3mm gemstone cabochon. Sterling silver tiny heart stud earrings with a 3mm gemstone cabochon. Sterling silver tiny leaf stud earrings with a 3mm gemstone cabochon. Sterling silver stud earrings of tiny eye inlays of mother of pearl, turquoise and onyx. 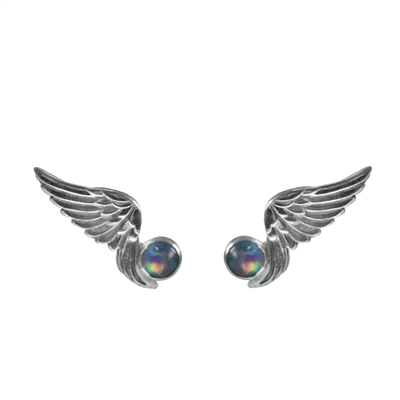 Sterling silver earrings of tiny detailed wings and 3mm bezel set gemstone. Surgical stainless steel ear posts. 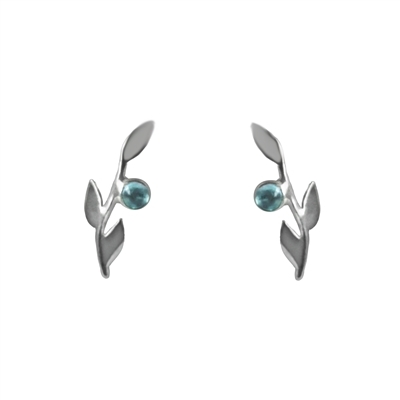 Sterling silver earrings of tiny branches and 3mm bezel set gemstone. Surgical stainless steel ear posts.